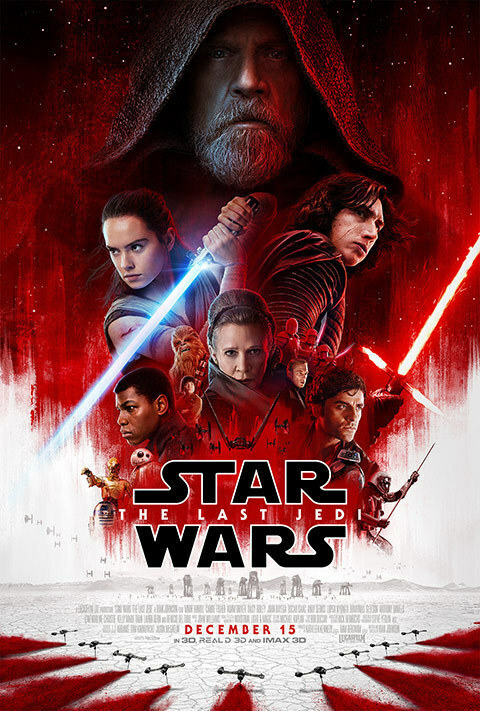 Star Wars: The Last Jedi, Episode VIII in the legendary space opera saga, is being released with all the hype, promotion, and anticipation that is expected from the franchise. The hugely successful film series has had a history of highs and lows of popular opinion, with fans of the films constantly rearranging the order of preference. Among fans, it’s often accepted that 1980’s The Empire Strikes Back is the saga’s strongest episode, at the very least one of the strongest sequels. However, almost certainly, The Last Jedi will offer some competition to Empire. The eighth installment of the Star Wars Saga opens immediately following the events of The Force Awakens, with the heroes of the Resistance desperately trying to escape the clutches of the evil First Order after the destruction of Starkiller Base. With their resources running out and the threat of annihilation looming, Finn (played by John Boyega), Poe Dameron (played by Oscar Isaac), and young maintenance worker Rose (played by Kelly Marie Tran) plot a last-ditch plan to sneak aboard and disable the enemy ship, hopefully giving the dwindling Resistance another day to fight. Meanwhile, on the other side of the galaxy, Rey (played by Daisy Ridley) confronts the self-exiled former Jedi Master Luke Skywalker (played by Mark Hamill) and begs the jaded teacher to rejoin the cause and save the Resistance. However, as she learns the ways of the Force from the reluctant Skywalker, she’s forced to examine the strange connection she now has with the dark warrior Kylo Ren (played by Adam Driver). A fantastic adventure from beginning to end, The Last Jedi delivers great visuals and set pieces that have become expected from the franchise, but is never in danger of feeling rehashed or repeated. Every new planet, every space battle, and even the lightsaber battles, which, during the era of the Prequel Trilogy, often felt repetitive and as filler, are all refreshing and exciting. Even following new characters, such as Rose, Laura Dern’s Vice Admiral Holdo, and Benicio Del Toro’s criminal hacker (with a quintessential Del Toro “space stutter”) are fascinating to follow. As far as the returning cast, the film belongs to Ridley, Driver, and Hamill. The films strongest moments involve these three, particularly in scenes between Ridley and Driver, which serve to blur the lines between their own devotions to the light side and dark side. As Luke, Hamill embodies his iconic character once again, this time as a reclusive hermit, with almost no recognition of the young farm boy from the original 1977 film. We watch as he roughly enters into the fight once again, as he decides whether or not to become the titular Last Jedi, leading to some great character moments in the film’s finale. As with the previous film, The Last Jedi will leave its fans desperate to continue the saga to its final chapter, which is due out in 2019. All there is left is to find the ability to wait two more years. You can check out the interviews with the cast from Star Wars: The Last Jedi here, and catch the film in theatres December 15th!